The width of cross bar is 118 inches/3 meters, and the height of backdrop stands is adjustable from 47 inches/120cm to 102 inches/260cm. 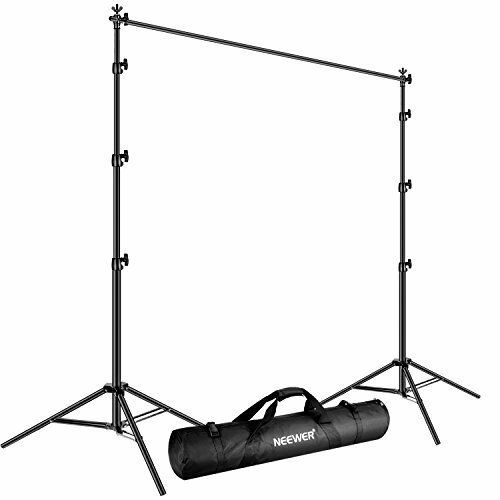 Easy to set up and store, the stands are light weight to carry. Comes with a portable carrying bag, which helps you better carry and transport. Professional Aluminum Alloy Construction for Durability, Portability.